So last night at Office Depot, I couldn’t figure out why he was giving me such a hard time about purchasing a tape dispenser. His point was that I already had one….which is true. But know what I don’t have? 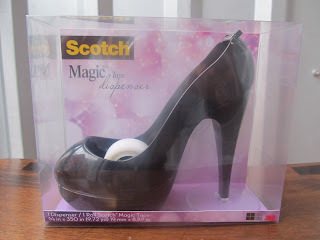 A tape dispenser disguised as a high heel!! HA! It was amazing! Plus, I was wearing almost identical heels when I first spotted it. Oh the irony!!! It doesn’t take much to get me excited (clearly) and boy was I excited! I tracked down Danny in the Paper Aisle to share in my merriment. He did not. “Don’t you get it?” I asked. 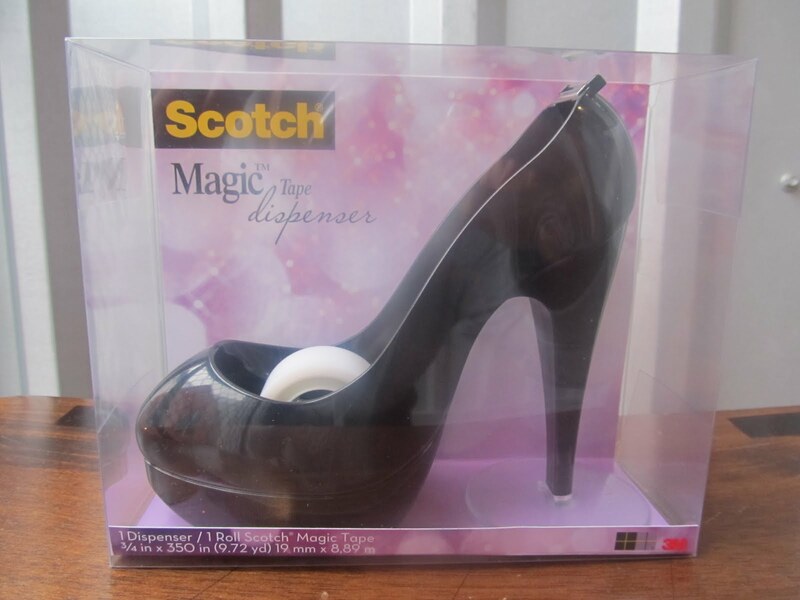 “It’s a tape dispenser, disguised as a heel!! !” BAHAHAHA, I cracked up all over again. And then I got really desperate….. So, here it is ya’ll….My post about tape dispensers. Hope you’ve enjoyed it. Needless to say, I've been taping ALOT of stuff today. That’s one cool tape dispenser. And it’s a definite proof that a tape dispenser can be fashionable as well. Haha! It’s a good thing that your husband finally agreed to buy this. It’s really a good investment, especially if you tend to use it quite often. Though it cracked me up when you said that it was for research. Hey, whatever works! Have a good day!